The above pictures are part of a glorious item that I would love to have clutched between my tarsal claws. It is a grand art book called "Attracted To Light", by Mike and Doug Starn. It's full of moths, of course (with the occasional mayfly), and the photographs within are almost like moths themselves. 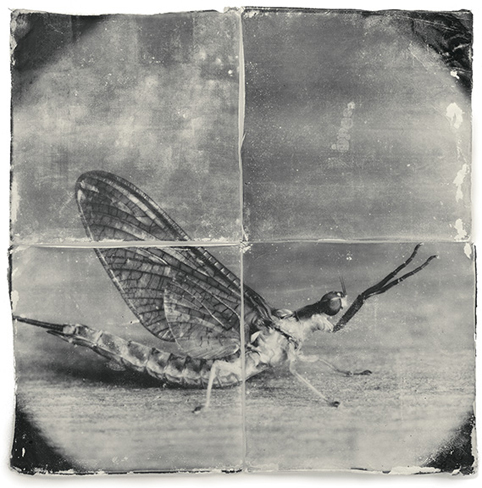 They are furtive and fragile artifacts, with flecks of emulsion coming off in drifts like the scales of their subject's wings. 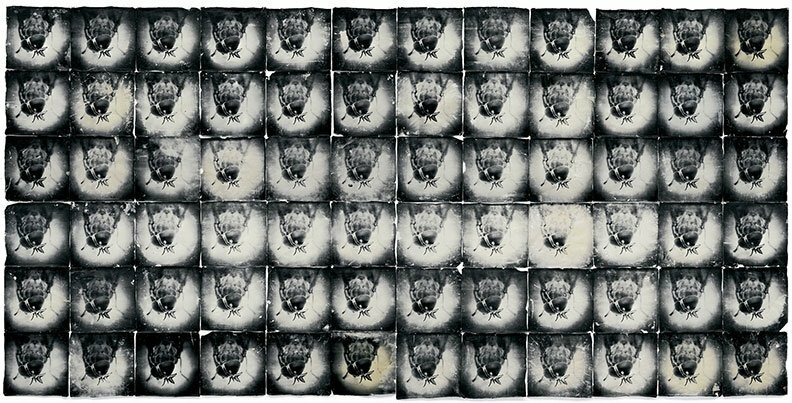 Cleverly, in reference to the main food source of the silk moth, many of the photographs are printed on multiple sheets of mulberry paper. The book is out of print, but I have put this on my Eventually I'll Get It Somehow List. The twin brothers Starn worked closely together out of their studio in New York to create this collection that celebrates an often-overlooked insect. 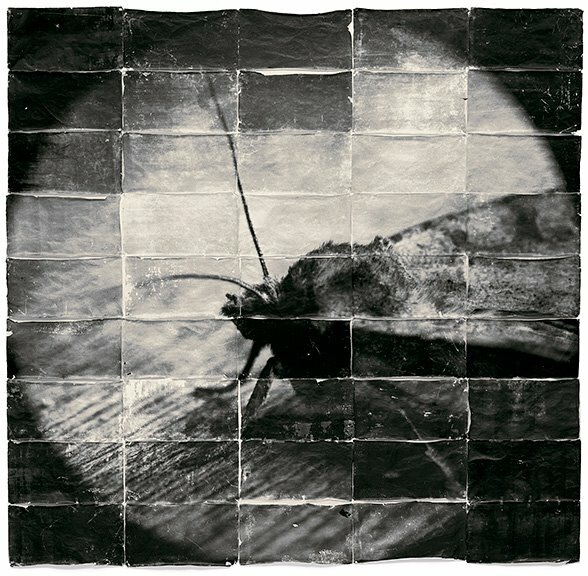 The images are accompanied by texts from literary lepidopterists such as Vladomir Nabokov and Viktor Pelevin. I recommend leaving through their gallery (direct link here) to see more of their beautiful insect works. This entry was posted in art, literature and tagged mayfly, moth, Starn, Viktor pelevin. Bookmark the permalink.